Have You Heard of Miracle Gel? We have brought to your attention just about every nail polish and nail art fad so it should be no surprise that we recently discovered a new way of applying nail polish that will blow your mind (well, not really, but it's still really awesome--haha!). 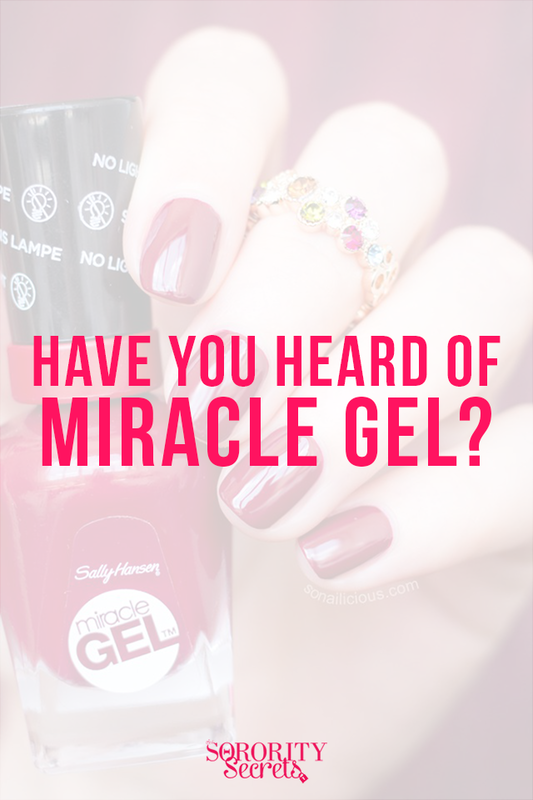 The amazing product is called Miracle Gel by Sally Hansen and it is specifically for you lovers of gel nails! Why this product is so great is that it requires NO LIGHT. Yes, you heard right. Second, the gel nails can last up to 7 days with no chipping (whoop, whoop!). Lastly, the Miracle Gel product is less than $10. Secret steal! 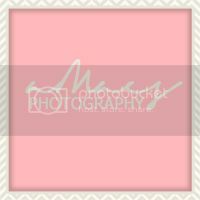 We are currently loving the Creme de la creme pink color! So perfect for work or sorority functions. 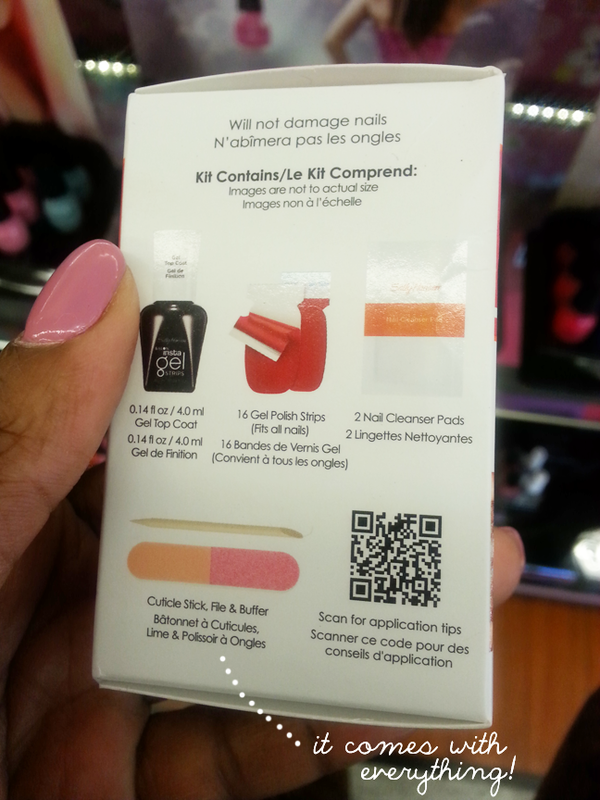 Save yourself the time and money of going to the salon with this cool, new product! Tell us about your experience with Miracle Gel by leaving a comment below! 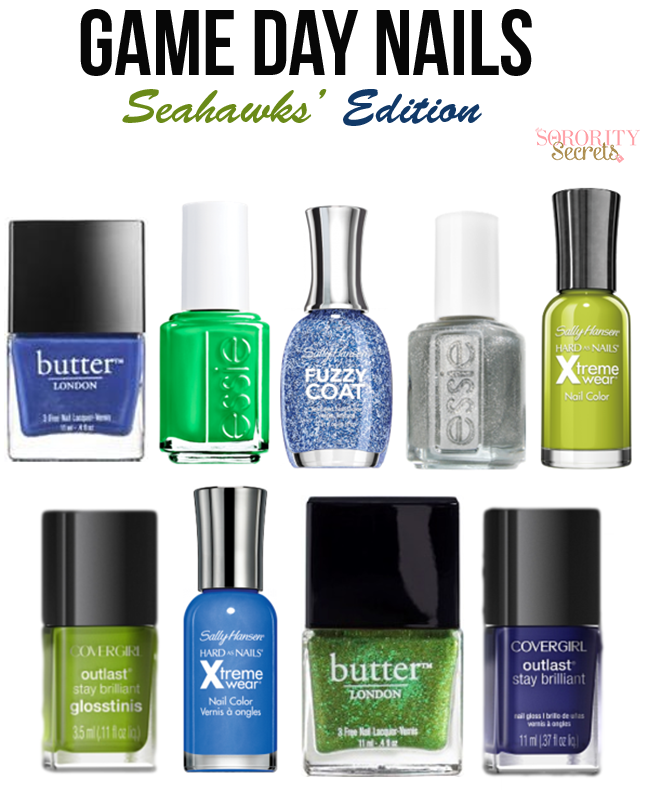 Help brighten up your outfit this season with the perfect polish! Spring 2014 is all about colorful pastels, vibrant neon, and feminine pinks. 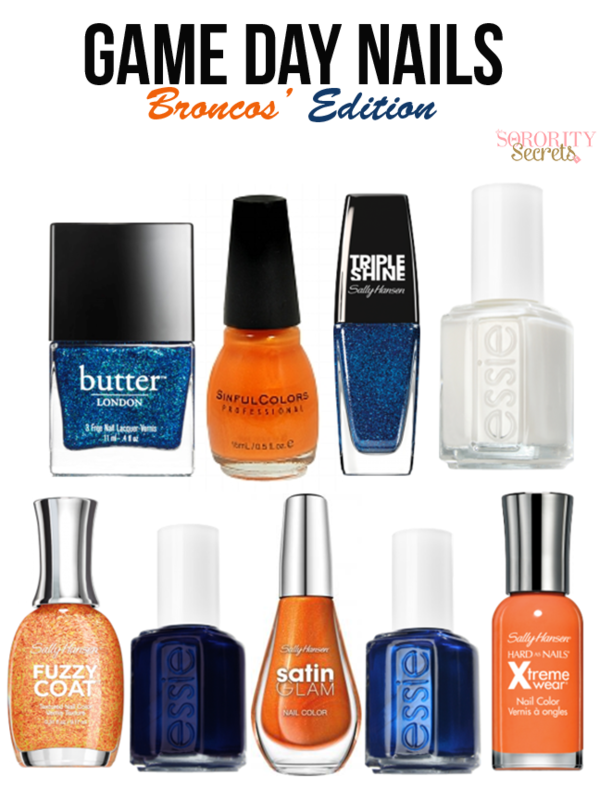 This season is all about freshness; keep your nails solid colors to add an extra pop against your outfit. Visit your local beauty store and stock up on the season’s newest spring shades. My favorite brands are OPI, Essie and Sally Hansen. They are super cheap and have a great variety of colors. My top three choices from OPI are (pictured left to right): ‘Lucky Lucky Lavender’, ‘I Just Can’t Cope-acabana’, and ‘Kiss Me On My Tulips’. My top three choices from Essie are: ‘Resort Fling’, ‘Truth or Flare’, and ‘Dj Play that Song’. 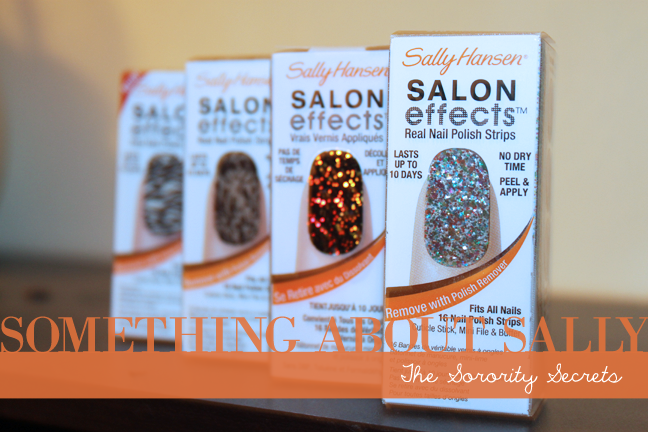 My top three choices from Sally Hansen are: ‘Mint Sprint’, ‘Petal Pusher’, and ‘Peachy Breeze’. At home manis are great for a quick fix or when you don’t have time to go in, but step up your nail game and try gel polish. Gel lasts 2+ weeks and instantly gives you that straight out of the salon look. Recently I started using an at home gel LED light and my life is now complete! You can purchase lights and polish for under $100 at local beauty supply stores, but check out this portable LED light for only $24.99 at ULTA. What a steal! Gel polish goes on like regular nail polish and just curate your polish between coats under your light and, viola! You have the perfect manicure for spring! Before it gets too cold outside, and we're still wearing our dresses and short shorts, we had to reveal one of our favorite reader's secrets... Sally Hansen Airbrush Legs! This one comes from Jaclyn, an Alpha Chi Omega alumni from Arizona State. According to Jaclyn, this magical lotion gives you "Barbie legs". Tried, tested, and TSS approved: this stuff is the real deal! Whether your summer tan is fading, you have a bit of razor burn, or a less than pretty bruise, this stuff makes it all vanish away. Essentially makeup for your legs, it covers everything up... leaving flawless & even toned skin. It's also waterproof, so a little wear won't take it off. We actually had to use soap and water in the shower to get it off; it really has staying power! A little fun fact, TSS Co-Founder Ali just brought this stuff with her to a bachelorette party in Las Vegas last weekend... it was a hit before all the girls headed out for a night on the town! Our tips for a flawless application: start with clean, freshly shaved legs. Apply the lotion about 10-15 minutes before getting dressed, so it has a chance to fully dry. Rub into legs like any other lotion, making sure to blend in any harsh edges. Wash hands immediately after applying, using soap and warm water. We prefer the lotion version (it also comes in a spray formula) for easy application. After enjoying your flawless legs, rinse off in the shower with soap and warm water. This product is truly a winner. We hope you love our reader's secret for perfectly fabulous, airbrushed legs!